As a teen and in my first few years of college, I always swore that I would never become one of those people who was overly obsessed with the British Royal Family and anything having to do with them. At the time, it seemed silly to be to be infatuated with a family that had very little to do with actually governing a country and a whole lot to do with sitting pretty and being figureheads. In my opinion, anything interesting about them had passed on when Princess Diana was killed. Prince William had never been as cute to me as everyone else in the world seemed to think he was and at that point, Harry had yet to grow into his ears. I should've known better than to think I couldn't be seduced by the royal flare as an adult. After all, I admired Princess Di as a little girl and when she did pass away, I bought every magazine that featured her to learn everything that I could, touching the pages ever so gingerly, and then storing them all in manila envelopes or plastic sleeves, sure they'd be worth something one day. But then a special thing happened: Kate Middleton. With her style, her grace, her personality, and the love between she and William that was so obvious and cute (which was refreshing, given Prince Charles and Princess Diana's relationship or lack thereof), I was hooked. I got up at the crack of dawn -- on a work day, no less -- with my mom and ate popcorn and she gladly shared the experience with me, since she'd had to do it alone back in 1981 when Charles and Diana wed. There's just something so strangely fascinating about the royal family. And though I have no real desire to ever become a princess -- although Harry has turned out to be quite attractive and seems like he's the most fun member of the family -- it's still fun to fantasize. 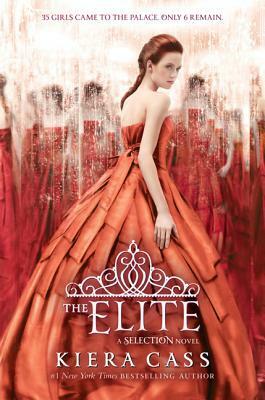 Which is probably why Kiera Cass's debut novel, The Selection, stopped me in my tracks in the spring of 2012. The book, about a post-apocalyptic U.S. now ruled by a Royal Family who selects their consorts by means of a televised competition, got its hooks in me and I couldn't stop thinking about. While I loved The Selection, there were a few points where I'd thought the plot was a little thin, prompting me to give it a four star review. I hoped that the sophomore effort by Kiera Cass wouldn't fall victim to the second book slump. But The Elite held up to all my expectations and then some, earning a four and a half heart from me this time around. Me neither! And it's one of those conclusions that Harper isn't letting any ARCs go for! So they're making us all wait 'til the bitter end. Have you picked up The Guard? 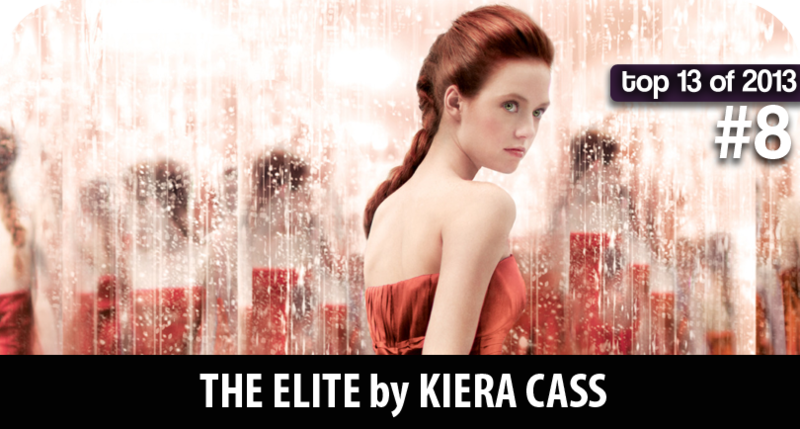 It's a novella by Kiera Cass that's supposed to fill the gap between The Elite and the One. I have it downloaded, but I haven't read it yet. :) I'm holding onto it until I'm desperate to tide me over!